Eating food from a bowl is comforting and wholesome. Foodservice facilities have come to realize that bowls are a wonderful vessel for more than just soups or cereal. Health care facilities and restaurants alike are utilizing bowls to create portable, comforting meals. Plus, bowls can also provide your customers with a sense of independence. Both from flavor, taste, and even to better person centric care for the physically challenged feeder. 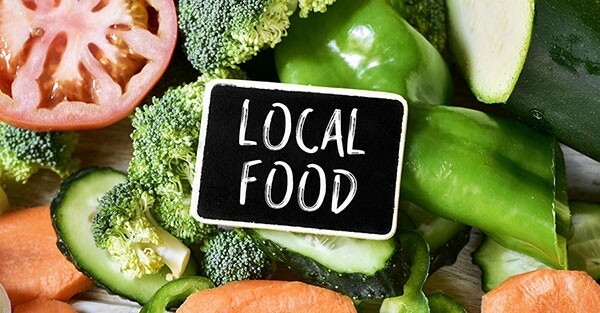 The catchword, "local" has become a symbol of trust. As a result of the internet and social media, consumers are more likely to trust their small local farmer who offers healthy, seasonal foods. Often, food service operators use the names of these local farms in menu marketing. Hospital food is turning gourmet! Many medical centers have hired executive chefs to upgrade their food service menus, types of foods utilized and preparation techniques. Hospitals also hope these higher patient satisfaction rates will influence potential healthcare customers, like those looking for a place to have a baby or get elective surgery. Not only does chef-driven food at hospitals attract these new consumers, but there might be more at stake for hospitals than simply attracting new consumers. Under the Affordable Care Act, federal reimbursement is being linked more and more to patient satisfaction scores. By creating condiments and specialties from scratch, healthcare food service facilities gain a reputation for offering fresh, wholesome food for their patients, plus cultural diversity and ethnic flavorings. Consumers demand authenticity and this trend of making condiments from scratch can have a positive impact on their perception. Plus, the great thing about offering homemade condiments and specialty items is that the production may take place during off hours or may be done off-premise, thus the foodservice operation's workflow is not altered. Healthcare food service facilities are shifting to a more individualistic food service delivery model. The industry is seeing dining trends that are based on providing freshly prepared items, which are driving hospital foodservice operations to migrate from more batch-style cooking to models such as room service. Thus, patients are now given the opportunity to order what they would like to eat, when they are ready to eat. In turn, the shift to individualistic food service delivery has greatly increased the quality and freshness of hospital food. Another wonderful benefit of offering patients’ individualistic food service delivery is that facilities are now able to closely monitor patients with special nutritional requirements or allergies. Many healthcare foodservice facilities are offering ‘a la carte’ options. Special diets with a simple philosophy: “fresh, homemade selections minimizing the use of fat and sodium.” They want patients to taste the food, with most menu items being made to order to optimize freshness and minimize waste. Senior dining is focusing on individualized approaches too their person centric care approach. Giving each individual what they want from food, flavor, location and timing is being addressed for today’s customers.